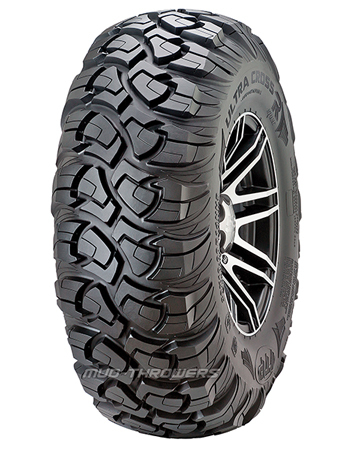 Side-by-side UTV owners, the ITP Ultracross R Spec tire is a unique, multi-surface tread design. This racing inspired non-directional tread pattern makes for a superb option for desert and slick rock conditions. ITP Ultracross R Spec was tire of choice for the 2015 King of the Hammers Amateur Class Winner. Cody Currie won this class and finished second overall, competing against roughly 50 side by side competitors. Cody had zero issues with the tires during the race. It was also Cody's third consecutive year using the UltraCross to compete. The King of the Hammers grueling race has some of the nastiest desert and rocky terrain imaginable, giving a testament to the UltraCross R Spec for it's durability.